Utilize your social capital to reach your goals. Cultivate your leadership potential and build upon your professional experience in the Women’s Leadership Development Program. Join Anderson School of Management's top faculty and instructors to develop your skills to become an effective and visionary leader. Explore the barriers women face, build upon your unique strengths, and acquire new strategic and tactical tools to boost you to the top. In addition, you will meet and engage with a group of like-minded strong and supportive women and build a lifelong network. Managers: Register your promising woman leaders! 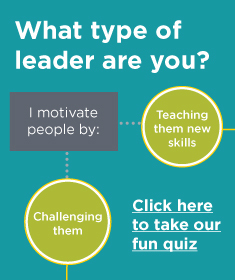 Quiz: What type of leader are you?